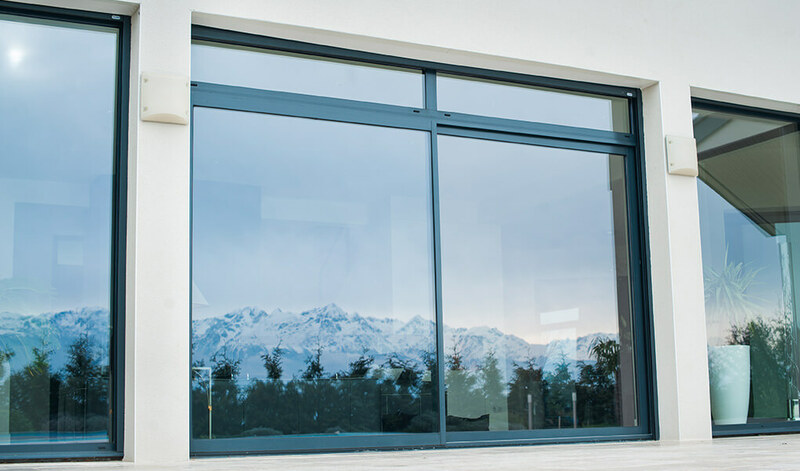 Having enjoyed a resurgence in popularity in recent years, aluminium patio doors are regularly found on people’s homes and within office spaces. Operated via a fluid sliding opening mechanism, their stylish, contemporary look greatly enhances the appeal of wherever they’re fitted. 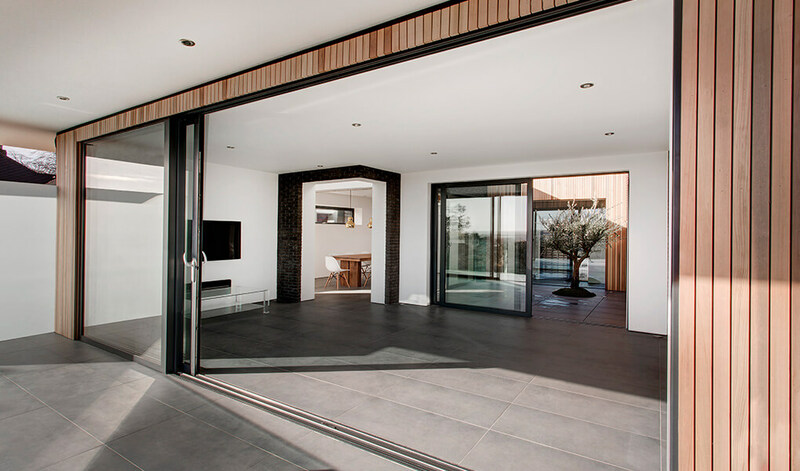 T&K’s aluminium patio doors use the latest polyamide thermally broken profiles, which protect your home from draughts and the weather. Fitted with energy efficient double glazing, excellent levels of thermal retention are assured, which can have a positive impact on your energy bills. 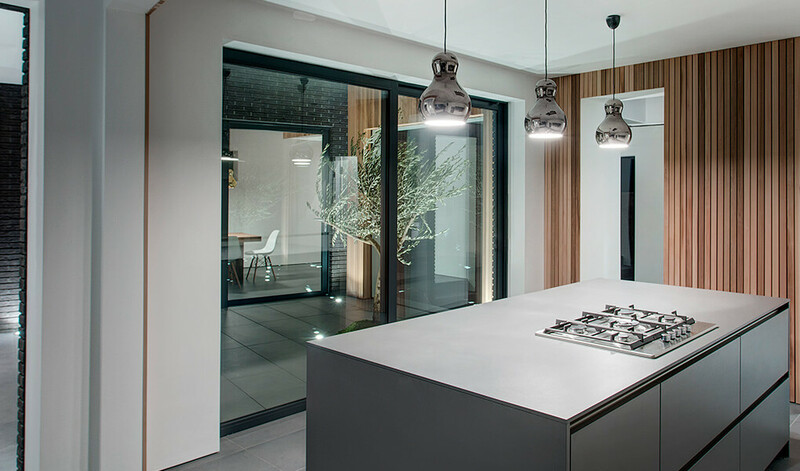 Featuring enviably slim sightlines and large expanses of glazing, you can benefit from stunning panoramic views, whilst copious amounts of light will be able to enter your home. Thanks to the easy-to-use sliding mechanism, they make effective use of the space in your home too, making them perfect for use in smaller areas. 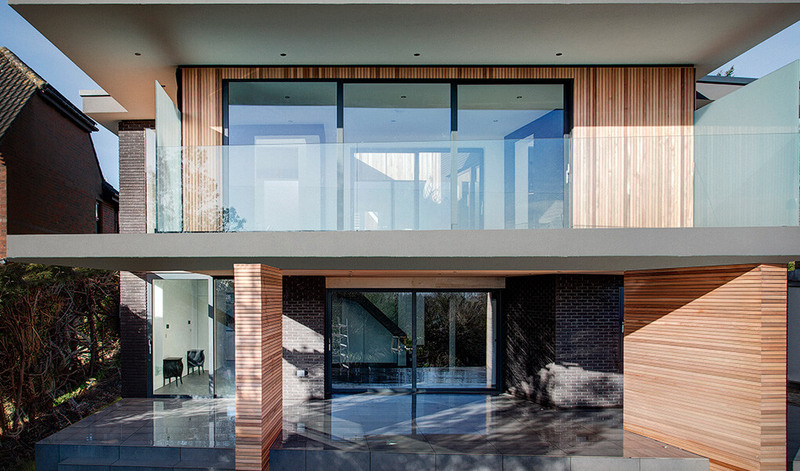 However, large applications can dramatically alter the appearance of your home, creating a wall of glass effect. With U-values of 1.7 w/m2K, they perform very competitively in terms of thermal efficiency. Available with a 5 point locking system and burglar resistant glazing beads, security levels are extremely rigorous. We can install sliding patio doors in very wide apertures of up to 6500mm. Available in a vast range of specialist metallic and anodised finishes, T&K’s aluminium patio doors are available in almost any colour. Alternatively, you can select a different finish for the exterior and interior of the doors with our dual colour options. T&K offers a number of configurations, to suit the size of the aperture and the how the doors plan to be used. The maximum number of panels we can fit, however, is 4 sliding + 2 fixed. 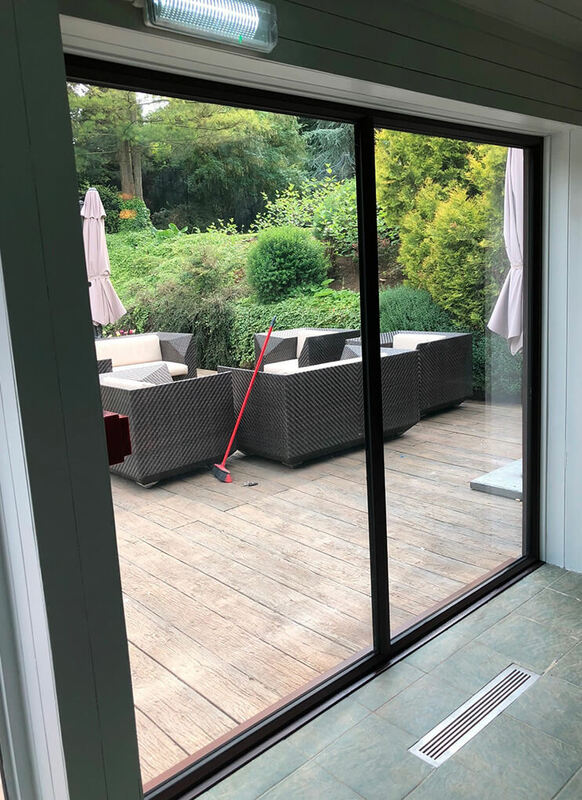 Whilst our aluminium patio doors are constructed from materials of the highest quality, T&K also installs patio doors constructed from uPVC and timber.